3pk Set Action Pack Pups Marshal/Skye/Rubble Only $13.95! You are here: Home / Great Deals / Amazon Deals / Save Up To 35% On Select Paw Patrol – 3pk Set Action Pack Pups Marshal/Skye/Rubble Only $13.95! 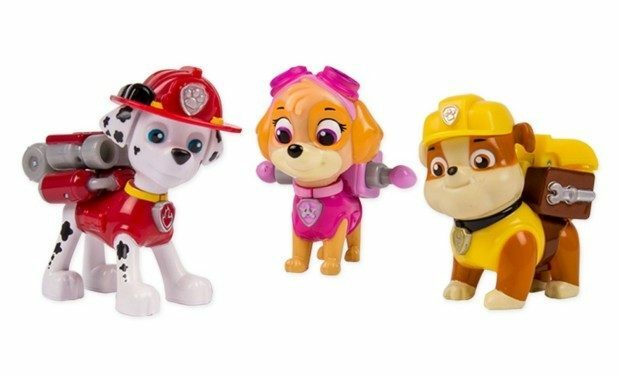 Save Up To 35% On Select Paw Patrol – 3pk Set Action Pack Pups Marshal/Skye/Rubble Only $13.95! Check out this fantastic deal! Head over to Amazon and Save Up To 35% On Select Paw Patrol Toys! Get the 3pk Set Action Pack Pups Marshal/Skye/Rubble for Only $13.95! Shipping is FREE for Prime members or on orders of $35+!